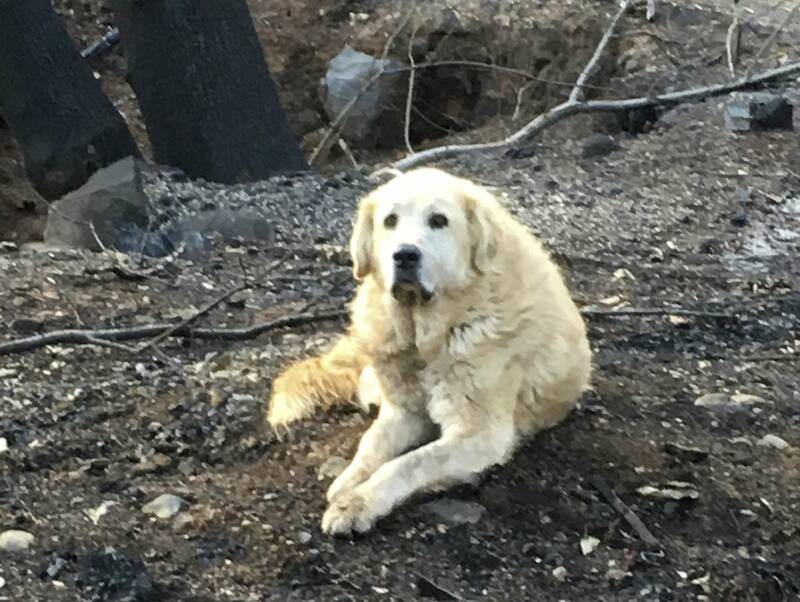 Updated: 5:15 p.m. | Posted: 4:45 p.m.
A dog that survived the catastrophic wildfire in Northern California apparently protected the ruins of his home for almost a month until his owner was able to return. Gaylord fled when the Nov. 8 fire broke out and decimated the town of 27,000; she was unable to make it back to her home as the fire spread. An animal rescuer who responded to Gaylord's request to check on Madison first spotted the male Anatolian shepherd mix several days later. 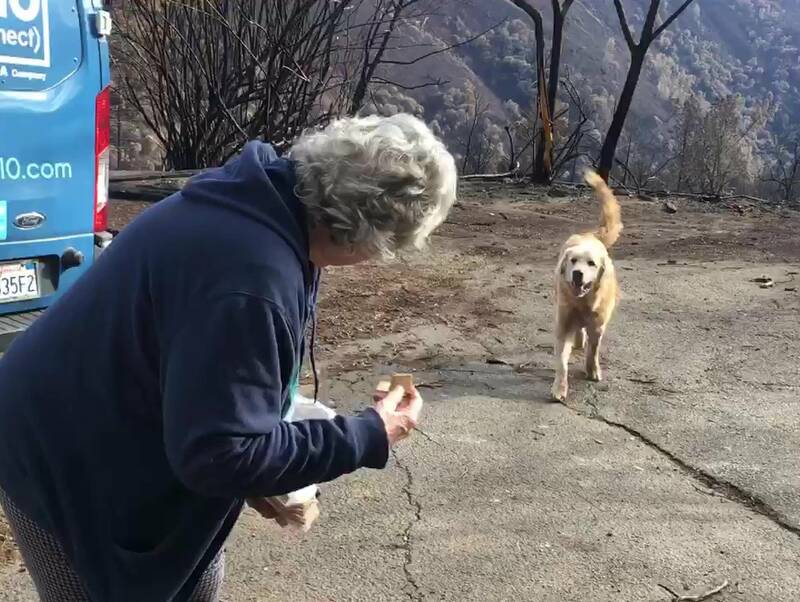 The dogs reunited Friday when Gaylord came back to the property with Miguel and brought Madison his favorite treat: a box of Wheat Thins crackers. Gaylord told TV station ABC10 she couldn't ask for a better animal.